The Mussman Law Office is a part-time practice and accepting only private referrals at this time. Sarah Mussman grew up in Mansfield, Ohio. The third of five daughters of Deborah and Dr. Robert Exten, she graduated from Mansfield Senior High and went on to attend The Ohio State University for both her bachelor's in English and her Juris Doctor. After earning her law degree, and before founding the Mussman Law office with her husband Jeff, Sarah worked as an attorney in the Franklin County Prosecutor's office. In that capacity, she helped guide crime victims and their families through the steps of filing charges against juvenile offenders. Sarah has also served as the Attorney Victim Advocate for the Law Director of the City of Mansfield, where she supported victims of domestic violence. 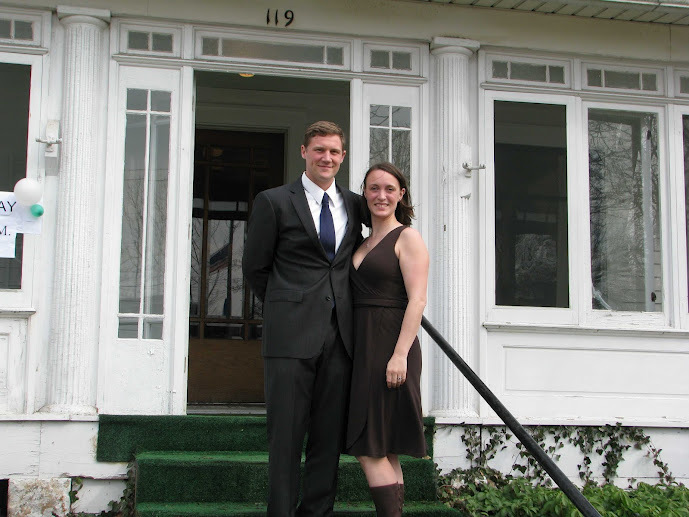 In addition to his work for clients of the Mussman Law Office, Sarah is the Village Solicitor for Bellville, Ohio, where she advises the elected officials and employees of the Village on almost all legal matters facing the Village and is responsible for criminal prosecution on behalf of the Village. Sarah is a member of the bar of the Supreme Court of Ohio. Sarah is also a member of the Clear Fork Chamber of Commerce and a member of the Bellville Lions. Jeff Mussman earned his bachelor's degree in Chemistry from the University of Cincinnati and then went on to attend law school at The Ohio State University. After law school, he worked for nearly two years at an international corporate law firm in complex corporate litigation. Next he joined the Franklin County Prosecutor's office as an Assitant Prosecuting Attorney, prosecuting hundreds of cases over nearly four years. In addition to his legal career, Jeff is a veteran of the United States Marine Corps and a current Ohio Air National Guard Officer. In the Marine Corps, Jeff deployed two times as a military policeman to Iraq and helped establish an Iraqi Police academy in one of the most dangerous corners of Iraq. Jeff was the managing partner of the Mussman Law Office until November 2014. Since then, and currently, Jeff is a full time employee of the Ohio Air National Guard and assists Sarah on a part time basis. In 2014, Jeff was recognized by the Richland County Development Group as one of their "10 Under 40" outstanding leaders in the community. Jeff is a member of the bar of the Supreme Court of Ohio, is a Patent Attorney licensed to practice in front of the United States Patent and Trademark Office, and is a member of the bar of the Federal District Courts for the Northern District of Ohio, the Southern District of Ohio, and the District of Colorado. He is also a member of the bar of the Air Force Court of Criminal Appeals and the Court of Appeals of the Armed Forces. Jeff is a lifetime member of the Reserve Officer’s Association, a member of the Ohio National Guard Association, a member of American Legion Post 535, a member of AMVETS Post 43, a Past President of the Bellville Lions, and the President of the Clear Fork Chamber of Commerce. Sarah and Jeff Mussman are licensed attorneys in Ohio. Mention of military service is not a federal endorsement. Copyright 2011-2016 Mussman Law Office. All rights reserved.